These high quality green business cards are created from a standard business card layout so they are compatible with major software products. Our Plain Green 110 lb Index (199 gsm) Desktop Publishing Supplies Brand business card paper is both Inkjet and Laser compatible. These blank 110lb business cards are microperforated and are printable on both sides. 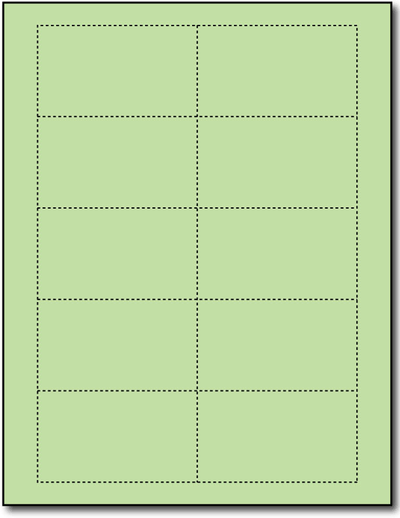 Each sheet measures 8 1/2" x 11". Made from 110lb (199 gsm) Plain Green blank business card stock. These are one (1) color business cards.